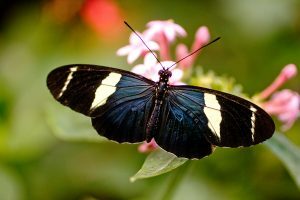 Costa Rica is one of the best countries in the world for wildlife holidays from birding or birdwatching to admiring beautiful butterflies, colourful frogs, monkeys and so much more. Its territory is 51,000 sq km, making it only 0.03% of the land surface of the planet. Despite this small size, it is estimated that over 5% of the species of the planet live there. 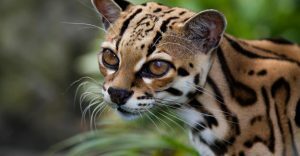 This makes Costa Rica a number one place for wildlife tourism in the world. Not only the sheer number of species, but also the fact that they are constrained to a relatively small area, makes it very easy to stumble upon interesting species of plants and animals everywhere you go. The main fact that contributes to this biodiversity richness is the country’s geographical location on the Isthmus of Panama: the land bridge that joined, not very long ago (in geological timescale), the two continental masses of South America and North America. This positions Costa Rica right in the middle of the species migration from one continent to the other. In fairness, the country’s conservation policies also play a great part in preserving this biodiversity to allow us all to enjoy it. 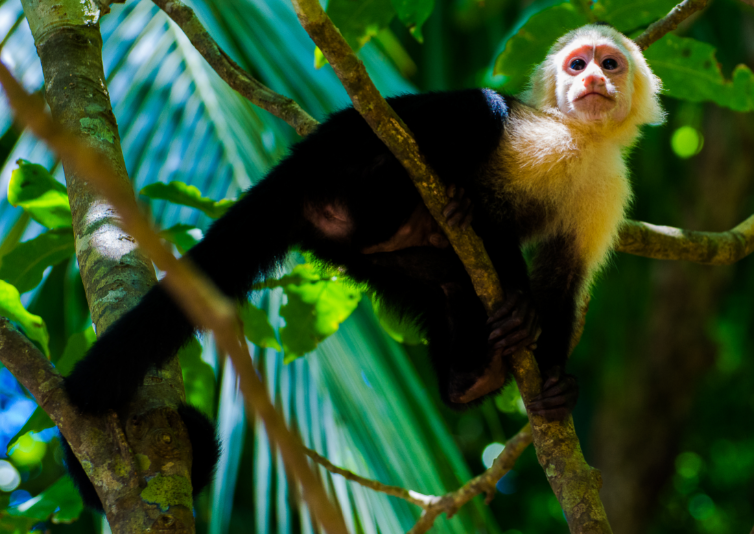 According to “Areas Protegidas y Parques Nacionales de Costa Rica”, there are over 9000 species of trees, as well as 231 species of mammals reported for the country. The latter include four species of primates which comprise the White-face Capuchin (left), Howler, Squirrel and Spider monkeys. All of which can be seen in the lowlands and sub-montane forests. 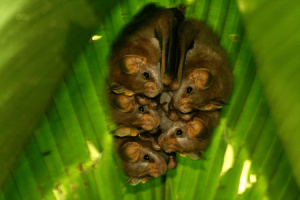 The most abundant group of mammals are the bats, for which Costa Rica is a real paradise. According to studies of the University of Costa Rica, there are 114 species of bats. Even though you can find them throughout the country, their studies report that as many as 80 species live in the Osa Peninsula in the South Pacific region, including the fishing bat, also present throughout the Caribbean. In the sea, you can see manatees on the Caribbean side. 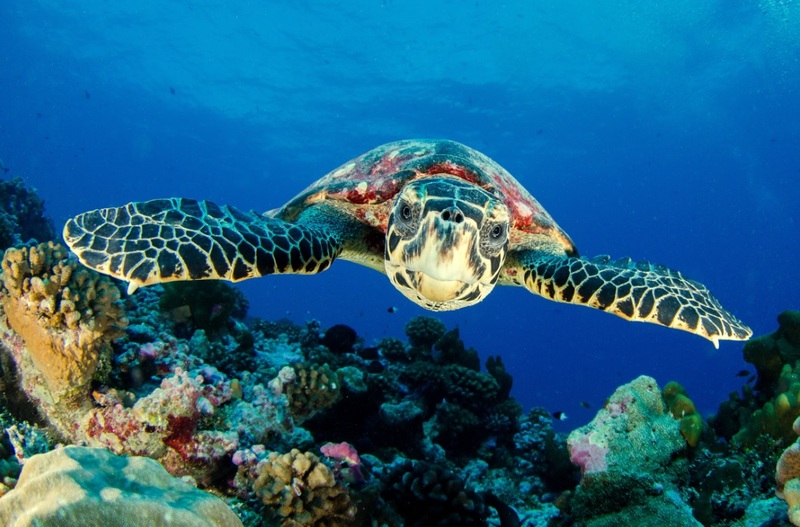 Also 20 other species of marine mammals including dolphins, whales and orcas both in the Caribbean and the Pacific. Together with the marine reptiles; the turtles: Haw-billed (below), Green, Olive-ridley, Leather-backed and Logger-head. The breading of turtles is a spectacle for which Costa Rica is well known, even giving name to one of the National Parks on the Caribbean Coast, Tortuguero National Park. 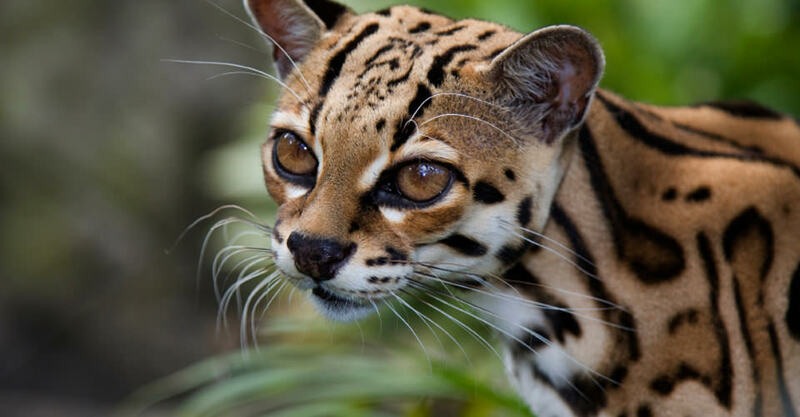 There are about 9 carnivorous species, of which the most notorious are the cats: Jaguar, Puma and Ocelot (below). 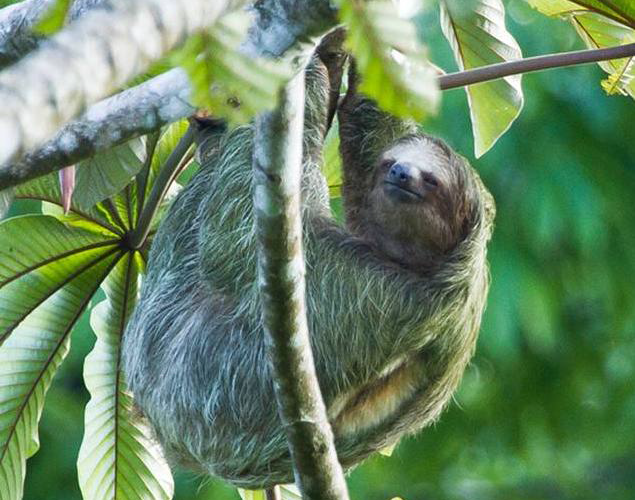 You can also find ant-eaters and sloths as well as several rodents in most forested areas. 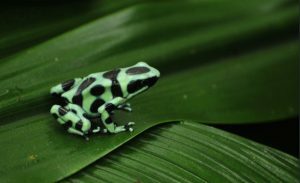 This is also a paradise for herpetofauna (amphibian and reptiles). The wet and warm climate and the variety of forest habitats are a prefect home for most of the 418 species in this group that comprises frogs, snakes, lizards, iguanas and crocodiles. In this group we also have the 5 species of sea turtles above mentioned. The insects are equally fascinating. However, they are not very well studied. Except for the lepidoptera with about 1,500 known species of butterflies and an estimated 8,000 of moths. But the absolute highlight of this chapter are the birds. According to the Costa Rican Ornithological Society there are 920 species reported, of which 57 are endemic (cannot be seen anywhere else on earth). Many of which you can see during any of our birding trips. Where you could come across 450 species or more. 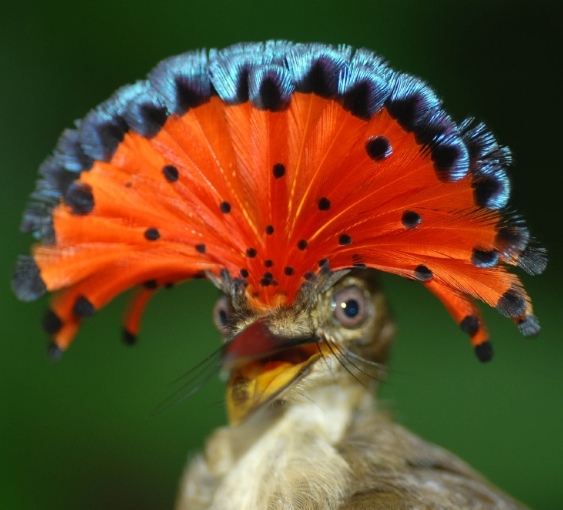 It is almost imposible to talk about Costa Rican wildlife holidays without mentioning birding. One of the most striking forest species is the Resplendent Quetzal (below), which you can see in Costa Rica (knowing the place and the season). 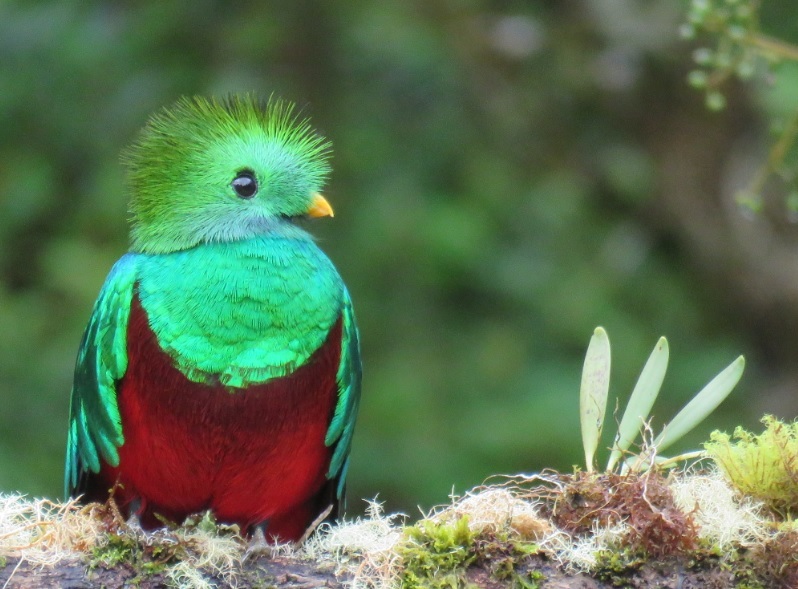 Our specialist tour guides can take you to places where you can see several Quetzals in the same area; resembling a scene taken out of a fantasy film. 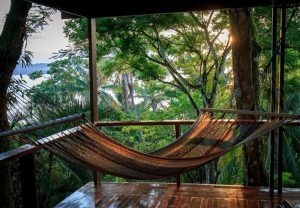 Costa Rica is also a bonanza for places to stay, you are spoilt for choice. When I think of hotels in Costa Rica, the old English phrase of “how long is a piece of string” comes to mind. There are hotels of most categories in all the regions. 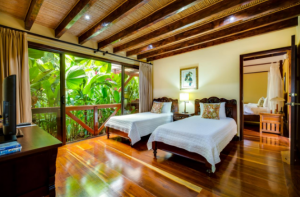 You can choose from up market five-star hotels and luxury large eco-lodges, all the way down to small family owned quaint hotels and B&Bs with the locals. Personally, I love the idea of a hotel like this ones (Aguila de Osa on the left and Nayara, Arenal below) with high standards of sustainability and nicely nestled in the vegetation that gives you the feel of sleeping in complete comfort and yet in the middle of the forest. That is the style of our forest experience tours. Designed for a relaxing, bespoke experience with an immersion in the magical wilderness of tropical forests. However we are happy to accommodate our customers’ requests in any direction, up or down market. You just need to ask.